Available in outputs of 13kW, 16kW, 19kW, 25kW and 30kW. 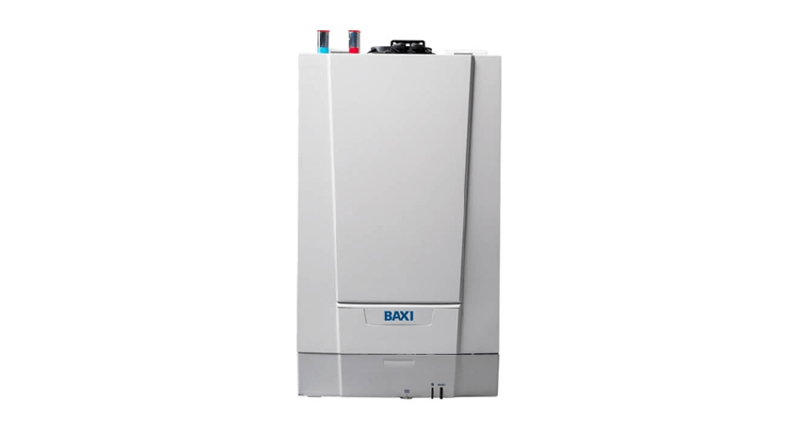 The new Baxi EcoBlue Advance Heat boiler is the perfect replacement for your old standard efficiency boiler. The option of a top or rear flue makes the replacement of old standard boilers straightforward with minimum disruption. Only install this heat only boiler due to its reliability, ease of use and quietness, you don’t even know that it’s running it’s that quite. Heat only boiler with a Seven year warranty, one of the best on the market in my opinion. Good little bit of kit. Very lightweight and non requirement of pump overrun is especially useful in some applications. Also used the rear flue option which was a lot easier than anticipated. Not my everyday choice but certainly in my locker for certain installs. These boilers are super light and quiet to the point I you can not hear it running. Great with the fluing options and good price as well. Not many features but not really needed. Really good boiler. Very quiet and nice and easy for swapping out. Really good warranty. Good option for a rear flue as well. Such an great little boiler, perfect for the simple heat only swaps with no pump overrun and the rear flue come in very handy, amazingly quiet. Thanks for your feedback, it is indeed the 'Ideal' replacement! Great little boilers with a good brand name, have fitted a few now with no issues and a good length warranty, would happily advise a customer to have one of these. Fantastic boiler. Very easy to install. Top or rear flue. Lightweight. No need for pump over run or perm live. Built in drain off at lowest point. Super quiet. 7 year warranty. What more can you ask for. I don't see the point in fitting any other heat only boiler. The only heat only boiler you should ever need to fit! Super lightweight, ultra silent operation and very compact. No pump over run required so will retro fit any previous boiler and has rear flue option. A doodle to fit and service. Great little boiler to install, weighs next to nothing, 3 wire connection with top or rear flue. Unbelievably quiet when running too. I love this boiler. Quite on use, really light and no pump overrun or switched live to dave having to run a cable through the house. Also rear flue if needed. Great little boiler. Incredibley light and easy to install. Really quiet and easy to commission. Great if tight for space. Great little boiler, rear fluing option and not needed a pump overrun make it a very useful option for boiler swaps where existing boiler position has to remain unchanged, even if swapping out an old floor mounted boiler! These are my heat only boiler of choice at the moment. Very quiet, nice and light. Only requires 3 core no permant live and cupboard fit with rear flue option. A joy to install. Super quiet and nice and light weight so you can hang it on the wall yourself without killing yourself. 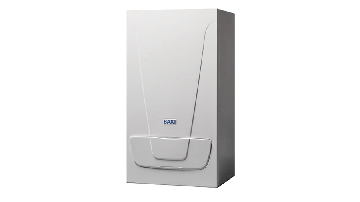 Wonderful boiler easy to install and so quiet it's unreal! Customer are over the moon when they have these fitted only problem is when they say "that's not lit, I can't hear it!". Great little boiler light and easy to hang with the option of the rear flue. No pump overun is a great advantage. Incredibly quite operation. Fitted a few of these now, almost silent and with excellent glueing options, the rear flue saves a lot of time and is very well thought out for the installer. Also very light. First choice every time for a heat only boiler and an excellent warranty. Best heat only boiler I have fitted, very light, rear flue option, simple to commission. This is a great boiler , easy to install and set up. It runs quietly and I was able to explain to my customer how to operate it, without any bother.Baxi registered it free of charge. For a heat only boiler this would be the choice every time...Easy to install,no pump over run and so light and quiet... Good boiler Baxi..
Can't fault this boiler with both the option of standard and rear flue options. Compact design making fitting into cupboards / tight spaces. Great manufacturers warranty best of all one of the lightest boilers on the market which is great for old guys like me.